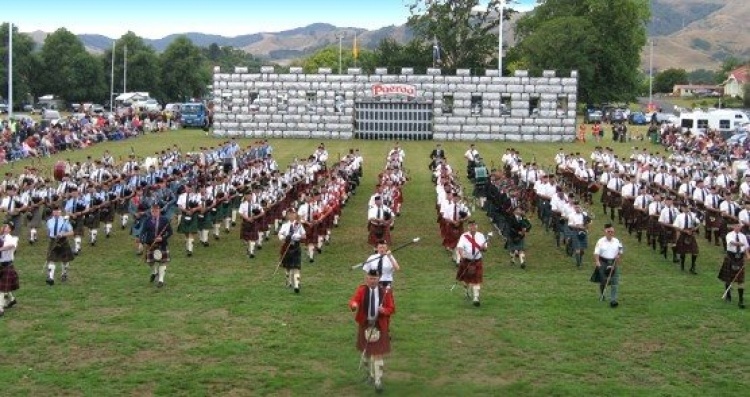 The 26th Paeroa Highland Games and Tattoo promises 12 hours of family fun with a Scottish Flavour. This year will be the biggest event yet, filling the whole of the Paeroa domain with great entertainment. Special guests include Marian Burns and the McSweeney Brothers Band, Bay Silver Pans (Steel Drum Band), Highly Flammable Stilt Walker and Fire Performers, Mythical Creatures and Jiggles the Clown. This year also sees the return of the Junior (kids) Highland Games with teams from all of the local schools participating. The Heavy Weight Field events including Caber Tossing, Axeman's Carnival, Highland Dancing Competition, Pipe Band Competition, Clan March, Solo Drumming Competition, Solo Piping Competition, Tartan in the Park including a new Steam Punk Tartan section, Clan Village, food stalls and new Highland Bar, Highland Cattle offer plenty of entertainment and activities to see and take part in. A Variety Stage featuring local performers will also feature this year. A spectacular Evening Tattoo with massed Pipe Bands, Mace Flourishing and Axeman Relay promises a great finale to the 26th Paeroa Highland Games and Tattoo. See www.paeroahighlandgames.co.nz for the full programme.